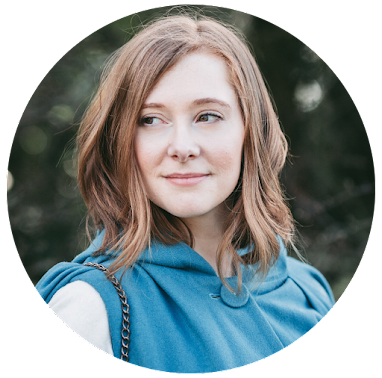 As a mum my days are often spent on a continuous loop of feeding, cleaning and entertaining my child. Honestly it is ridiculous how much food my little boy eats, and nearly all of it is snacks. A bloodhound for anything sweet I daren't go near him with anything that even marginally resembles food because he will seek it out, throw it at me, then give me those cute, puppy dog toddler eyes at stare at me until I give him some. It is a nightmare. It also means I'm often left going hungry, sneaking off to the kitchen whenever I can to hide in the pantry and eat something myself. And even though I don't have a lot of time, this is where I choose my snacks with care. Because even though I sometimes do have to scoff them within a matter of seconds, I still want them to be tasty. You know me. I am governed by my sweet tooth and if ever I have the chance to try something new I am there. And Popcorn Shed was definitely no exception to that. One of my biggest guilty pleasure is a big bowl of popcorn in the evenings so the minute I was offered the chance to try some of Popcorn Shed's flavours I signed up without even drawing a breath. 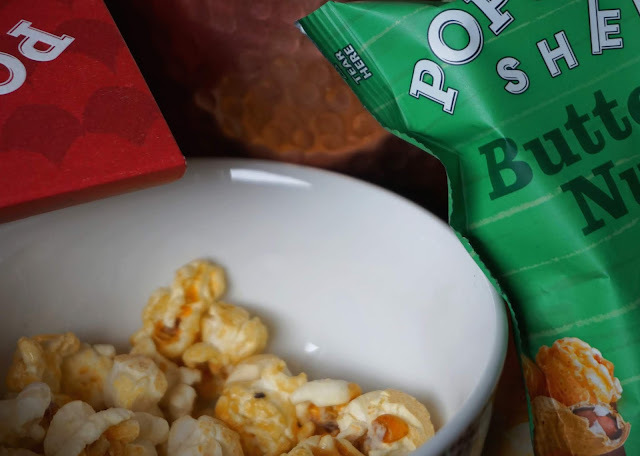 A home-grown and family-run business, Popcorn Shed is a popcorn brand with a punch. Using artisan cooking methods their snacks really bring it when it comes to flavour and texture. 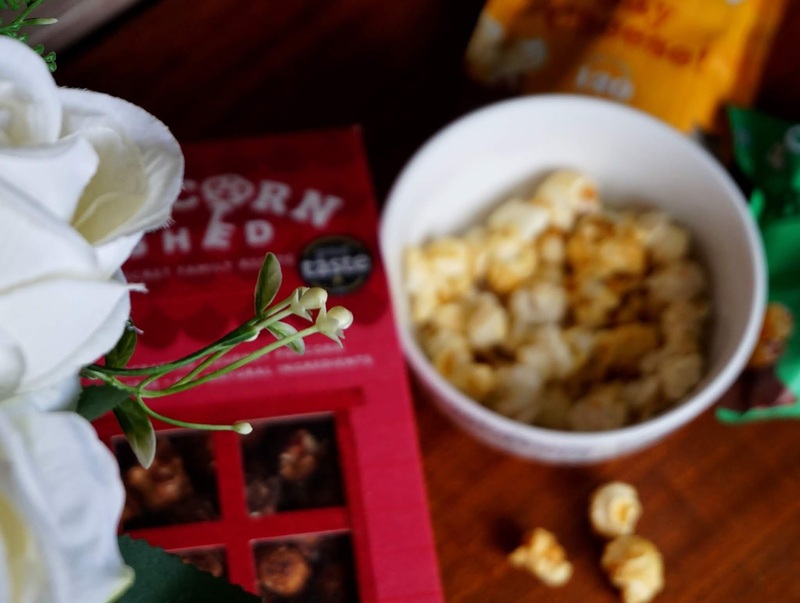 Offering flavour combinations I'd never even thought of and with added texture in the form of dried fruit, nuts and chocolate the days of rubbery, lack-lustre, polystyrene-like popcorn are a thing of the past. Now I'm not going to lie to you. When I first saw some of the flavours I had been sent I thought 'really, are you having a laugh?' I mean - cheesy popcorn? Really? Really? But giving it the benefit of the doubt I gave it a go (this was the Sweet Cheesus variety) and oh my god.... it really does work! And who would have thought it? Mixed together with the super sweet pieces it was an absolute dream flavour combination. So that's something to bear in mind. Yes some of the ingredients sound a bit bizarre, but Popcorn Shed really know what they are talking about. Aside from the flavour we also need to talk about the packaging. 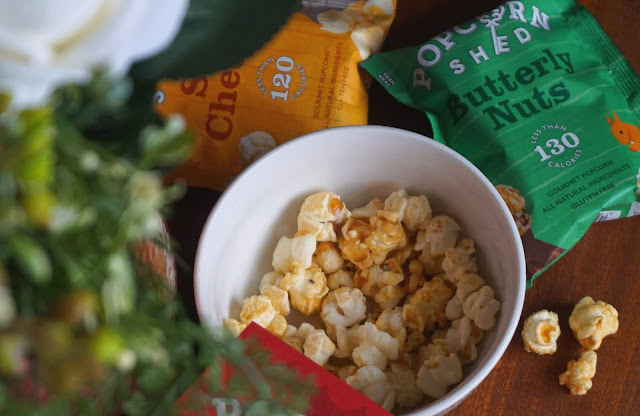 Available in either handy grab and go size bags, 80g sharing bag "shed" or kilner style plastic jars Popcorn Shed definitely stand out with their brightly coloured designs, bold typography and cute graphics (the 'sheds' come with fully recyclable cardboard shells too). You definitely wouldn't miss them on a supermarket shelf and even their colour choices pay a little homage to the flavour the packet contains. Gluten free, made from all natural ingredients and bloomin' delicious to boot my favourite flavour so far has to be the Pop 'N' Choc (three guesses as to why) but I have enjoyed every variety I've tried so far. So much so that I am having to really stagger eating the packets I have left because quite honestly I don't want it to end! I'm even tempted to order one of the big jars for Eric's birthday party just so that I can spread the popcorn joy and introduce more people to the brand. But when it comes to my secret in-house mummy snacking....these are definitely something I will not be sharing with my child. 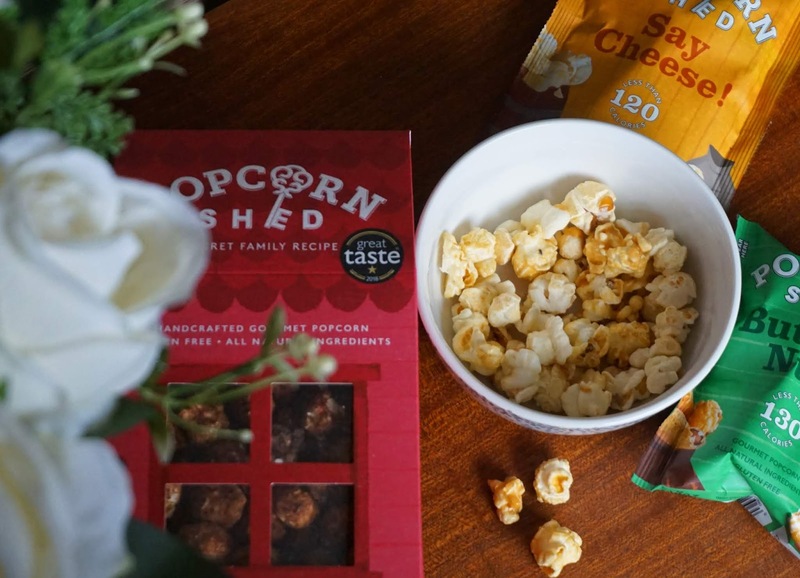 * I was very kindly gifted a selection of popcorn from Popcorn Shed to review. This does not affect my opinions. For more information, please see my disclaimer.